Sgt. 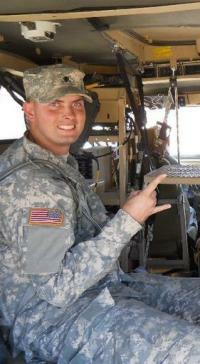 Nathan R. Beyers, 24, of Littleton, Colo., died July 7 in Baghdad, Iraq, of injuries suffered when insurgents attacked their convoy using an improvised explosive device. They were assigned to 145th Brigade Support Battalion, 116th Cavalry Heavy Brigade Combat Team, Post Falls, Idaho. He is survived by his wife Vanessa and daughter Ella Jo; his parents Timothy Beyers and Sonja Beyers of Denver, CO; his mother Natalie Bittner of Weir TX; siblings Tyler Beyers and Caelyne Bittner; his grandparents, and two nieces.